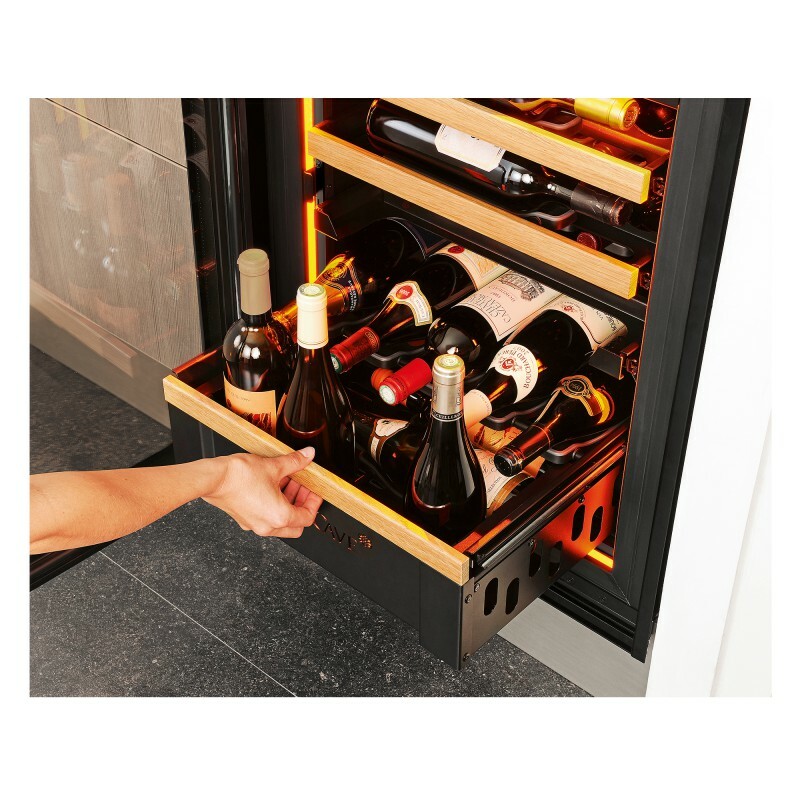 Wine cabinet, 1 temperature, full glass (frameless) door, built-in and integrable. 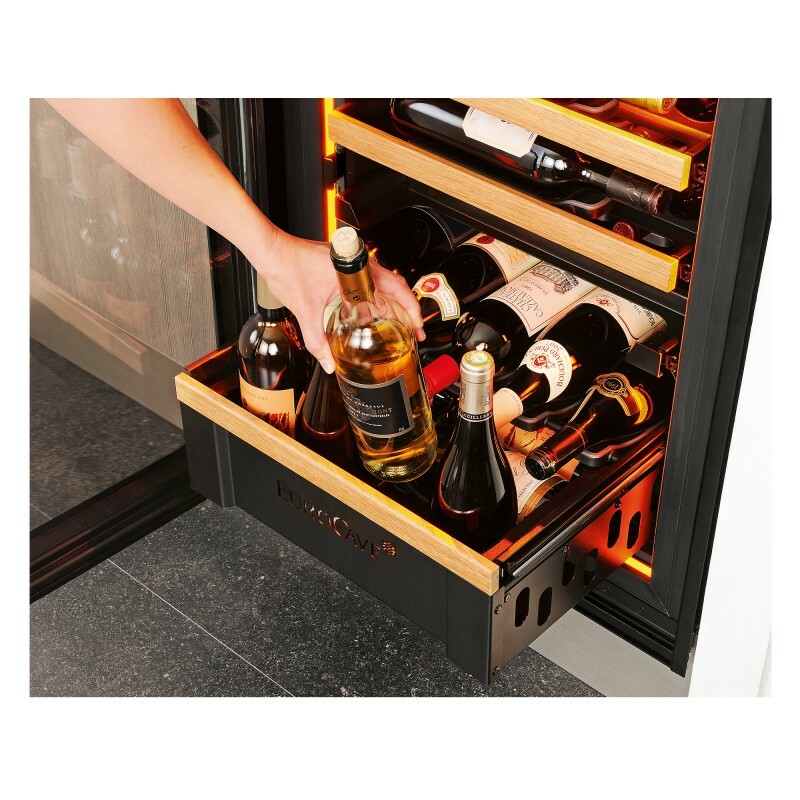 - The Premium pack comprises 9 sliding shelves allowing you to store 59 bottles. 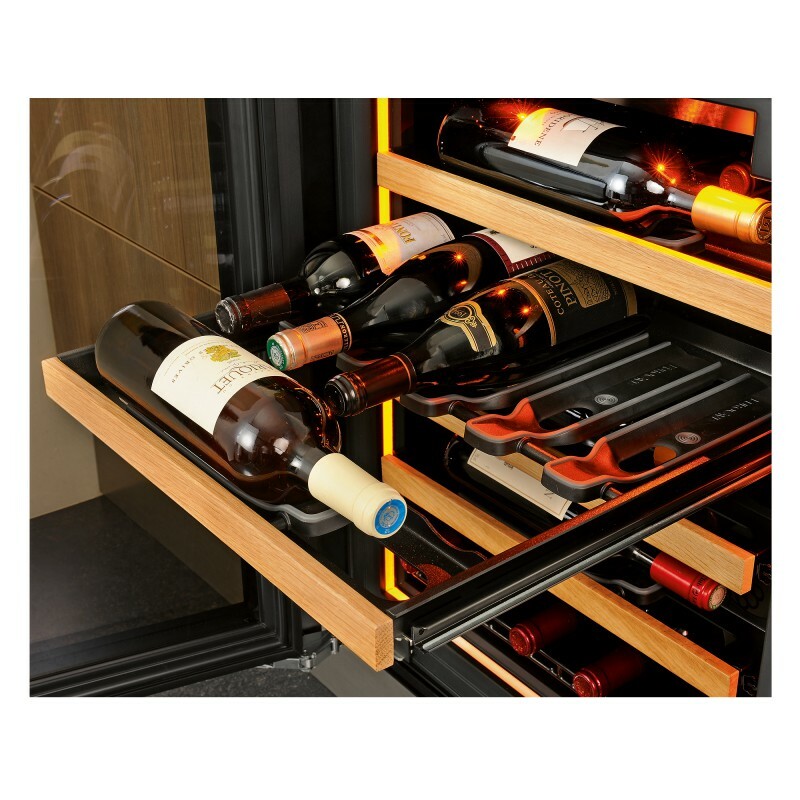 - The Storage pack comprises 2 storage shelves and 2 sliding shelves allowing you to store 58 bottles. 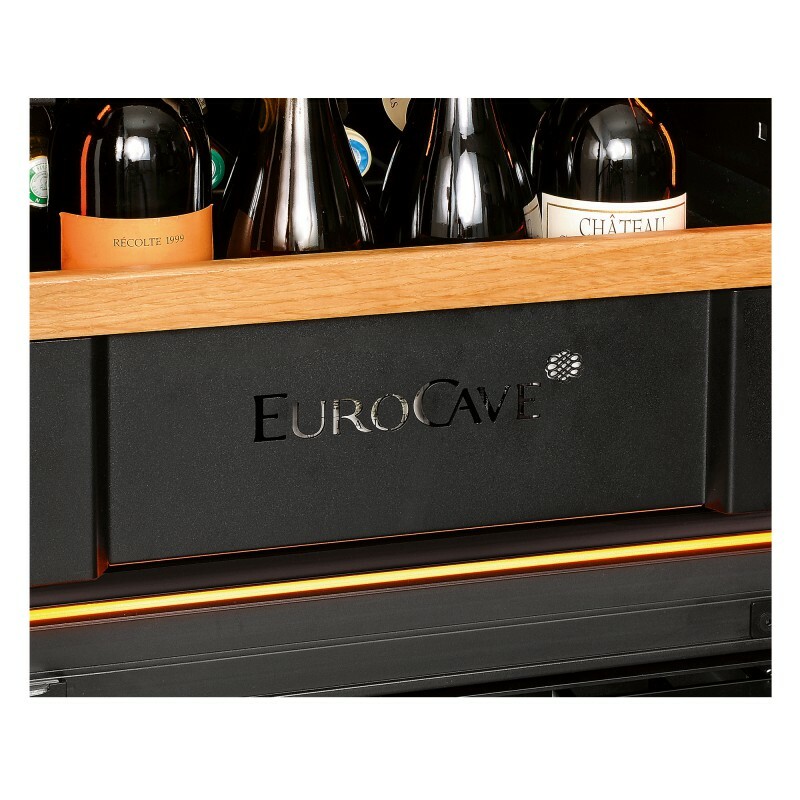 - The Service pack comprises 7 sliding shelves, 1 half-shelf and 1 service sliding shelf allowing you to store 58 bottles.